It’s important to pay attention to the signs your jaw gives you. Jaw aches and discomforts can be a sign of something major, including temporomandibular joint disorder, more commonly known as TMJ disorder. Jaw aches coupled with frequent clicking and popping is a sign of TMJ syndrome. The issue is caused due to flawed alignment of the jaw and can be extremely painful. The TMJ is a hinge that connects your lower jaw to the skull’s temporal bones that are positioned in front of each ear. It lets you move your jaw vertically as well as horizontally, so that you can speak, bite, chew, and yawn without any trouble. 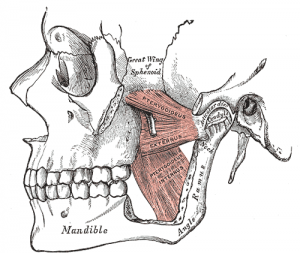 Any problem with the TMJ can cause extreme pain in doing even the simplest jaw-related movements. Any pain in the jaw that radiates to the neck and/or shoulders. The presence of muscle spasms around the area is also a sign of the disorder. TMJ disorder causes you to feel pain around the ear as well, especially when you talk, eat or yawn. You’ll notice a ringing sound in your ear, which most people believe is a sign of a problem with the ear, when it is due to TMJ disorder. The pain is often presented with other problems such as nausea, headache, dizziness and vomiting. Swelling of the face and mouth is also a sign of the disorder. This swelling makes it difficult to move your jaw and there may even be a clicking sound when you do so. If you feel your jaw isn’t aligned properly, you should turn to a doctor and get checked for the presence of the TMJ disorder. Experts recommend using treatment methods which are conservative because safety is the top-most priority when it comes to treatment of jaw joints and muscles. Avoiding foods that are hard to chew. Avoiding jaw movements like wide yawning, chewing gum or sticky substances. Adapting to muscle-relaxing and stress-reducing techniques. Taking pain medications such as Ibuprofen may provide relief from jaw discomfort. A bite guard helps in reducing pain. It is a plastic stabilizing splint that is fixed over your upper and lower jaw that prevents excessive movement of the jaw. Your best option, however, is to visit your dental health care specialists and practice methods that he/she recommends according to your condition. These solutions will help control pain, but they’re not a permanent solution as they revolve around changing your lifestyle rather than finding a permanent fix to your problem. If your condition is serious, you must visit a doctor and get treated. Leaving the condition unchecked can cause problems such as arthritis, and even tissue diseases. In severe cases your dentist may perform surgery to treat the problem. If you have noticed any such signs, waste no time and get in touch with TMJ doctors today. If your child, like most other children, are a little bit nervous about visiting the dentist, you’ve no doubt started to scratch your head to find ways to calm them down and get them over the nerves and jitters that they’ve been dealing with. This can be a pretty tall task for any parent! But according to Dr. Rafiq, a dentist in Woodhaven Michigan there are definitely some things that you can do to help your children overcome their fear of the dentist and even get them to start looking forward to these regular meetings to make sure that their smile is exactly where it needs to be. Here are three tips and tricks to help you talk to your child about visiting the dentist in a way that makes things a lot easier for everyone involved. The earlier that your child starts to visit the dentist, the less stress they are going to have simply because the process is going to become normal quite quickly. A lot of the fear that children have when it comes to visiting the dentist is a fear of anticipation, getting nervous about things that haven’t even happened yet or aren’t likely to happen, either. By visiting the dentist frequently when they are young, and by looking through kid-friendly dentist information, they can set different expectations and they won’t worry about visiting the dentist later on in life. It’s also really important that you and your dentist do absolutely everything in your power to make sure that the first few visits that your child makes to the dentist are relatively simple, very straightforward, and as quick (and painless) as humanly possible. This deflates a lot of the nerves that kids feel about visiting the dentist, and again, it sets different expectations for your children moving forward. Children can get very overwhelmed when it comes to new and somewhat scary experiences, especially when a stranger in a laboratory coat is going to be poking and prodding their mouths! By being upfront, open, and honest with your children about the experience they are going to have, and by answering all of their questions as best you can before and during the visit, you shouldn’t have any problem alleviating the anxiety and nervousness that your child would otherwise feel. 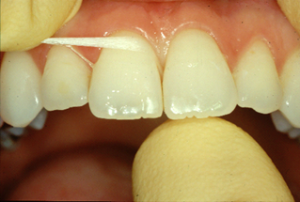 What Cosmetic Dentistry Procedures Can Give Me a Great Smile? Thanks to some pretty amazing breakthrough technologies in the world of cosmetic dentistry, it’s easier today than ever before to completely upgrade your smile – often in less than one hour! Working with top cosmetic dentists like Dr. Delwin Hemingway, a dentist in Salinas, CA gives you every opportunity to dramatically improve your smile in a hurry, giving you that brilliantly white and perfectly straight smile that all of us dream about. Of course, you’ll need to make sure that you choose the right cosmetic dentistry procedures to give you the smile of your dreams – and that’s what we hope to help you out with below. It doesn’t get much easier, or much faster, to completely upgrade your smile than teeth whitening solutions provided by experienced cosmetic dentists. The teeth whitening solutions available to professional dental experts are significantly more powerful and tremendously more reliable than the kind of over-the-counter solutions sold by toothpaste companies. 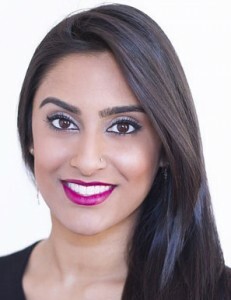 A quick visit to your dentist for legitimate teeth whitening procedures can brighten your smile by two or three shades by the time you walk out of that office – and two or three visits is usually all it takes to give you a blindingly white smile at a fraction of the cost of most other cosmetic dentist procedures. Originally intended as a substitute for tooth enamel that had been lost, veneers are simply hard, thin shells of teeth-colored material that can hide a tremendous amount of dental imperfections and give you a beautiful and brilliant smile in just one office visit. These are a little bit more expensive than most other options in the cosmetic dentistry world (aside from bridges and dental implants), but they are almost always lifelong solutions that make your teeth look better than brand-new. Today’s dental bridges and dental implants are designed to be much more effective, much more permanent, and significantly less invasive than the solutions available just a few short years ago – but they are still pretty expensive (comparatively, anyway). Even still, there is absolutely no way to better prepare a smile that is missing teeth than with dental bridges and dental implants. Both of these solutions provide you with “new” permanent teeth, and they can be designed to upgrade your smile at the same time as they replace the teeth that have gone missing.